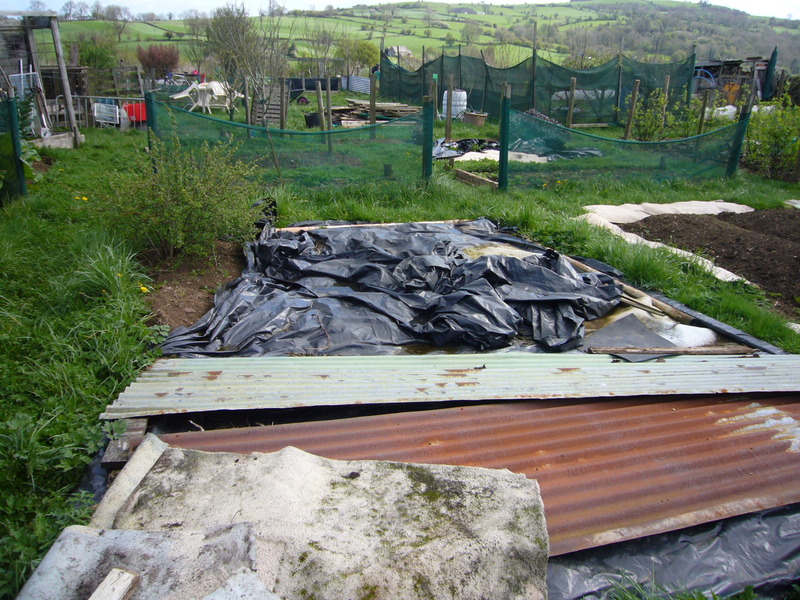 No dig for me was not a hard decision to make, the soil is free draining, friable and in good nick so why interfere? 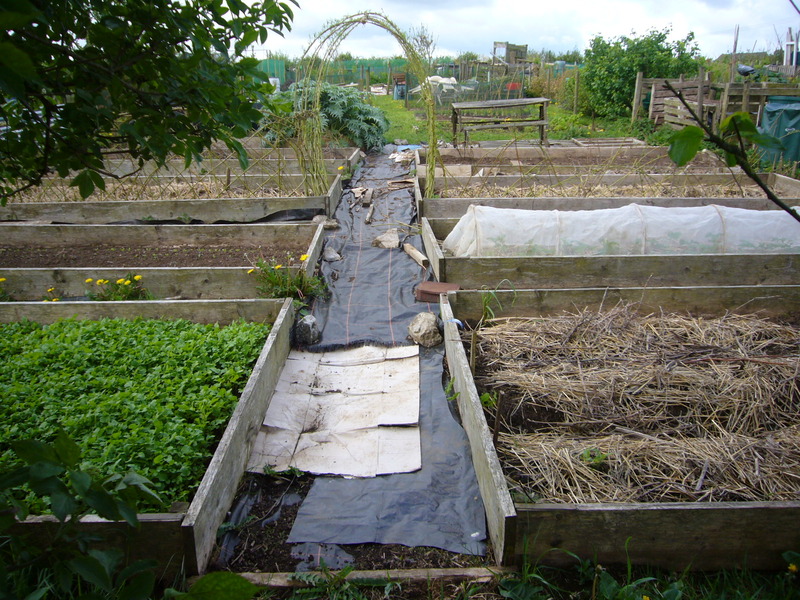 Mulch, mulch and green manure is my plan even though there are ample supplies of animal manure all around as I’m surrounded by livestock farming. I’ve decided to follow Garden Organic ‘best practice’ guidelines to manage the soil with natural fertility builders and to make friends with the soil instead of fighting it with spades and forks! 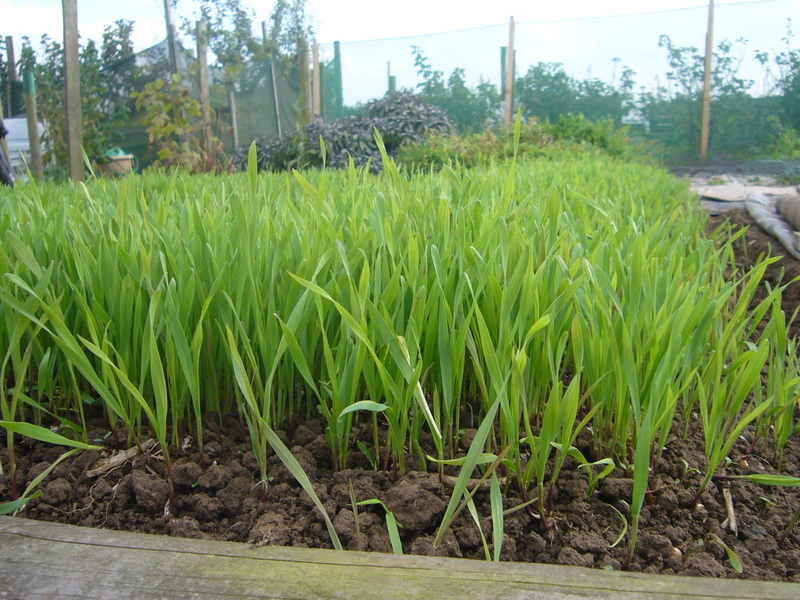 So no winter digging for me, sit back and watch the green manures grow I say! 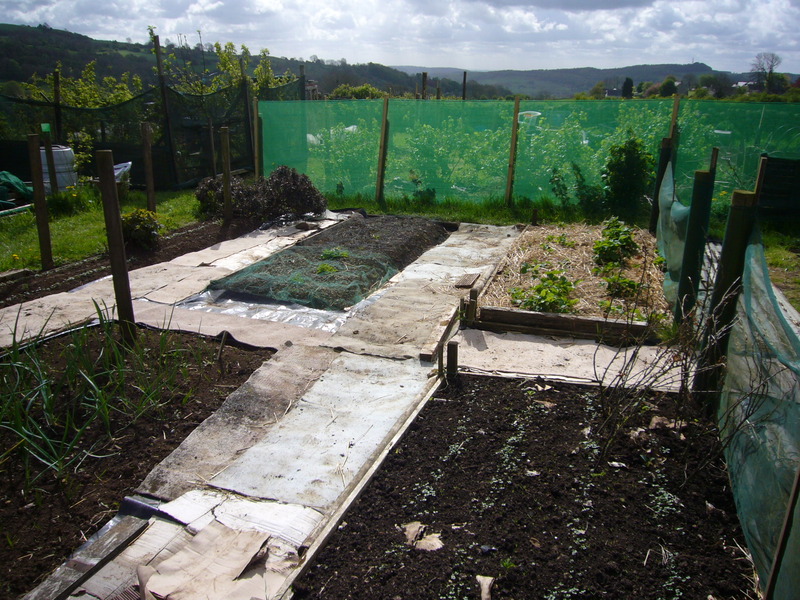 At least the soil has been covered to discourage weed growth and although it looked unpromising in early April, I peeled back the layers and found the soil in good heart, a sandy loam that has proved to be a joy compared to the heavy brick clay of Nottingham! 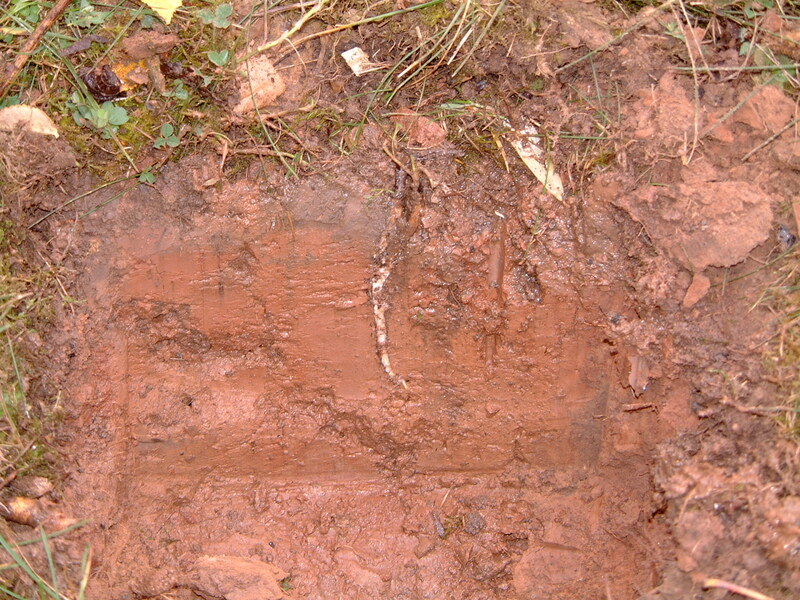 I now am able to prepare the mythical ‘fine tilth’ so often described in gardening books and quite impossible to do on lumpy sticky clay! 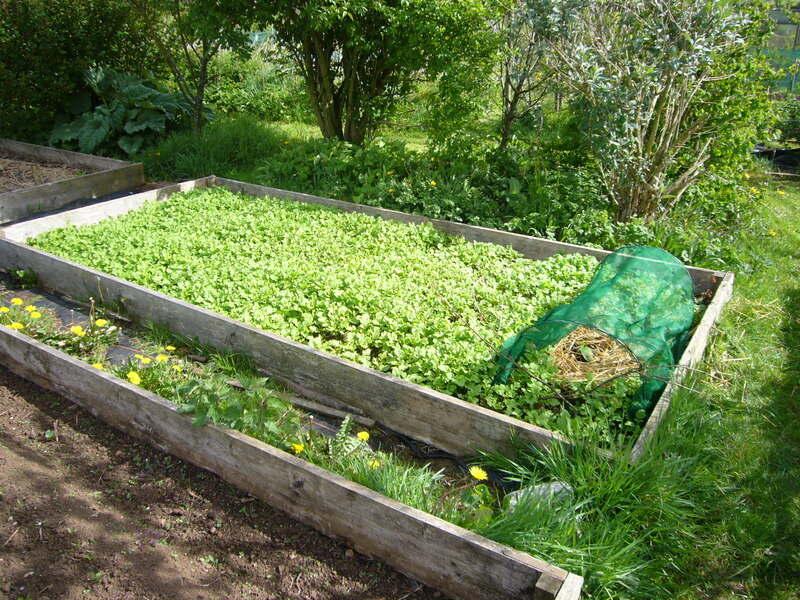 First planting, some Claytonia and wild rocket that had been confined to a container for the winter, happy to be released and ready for picking. 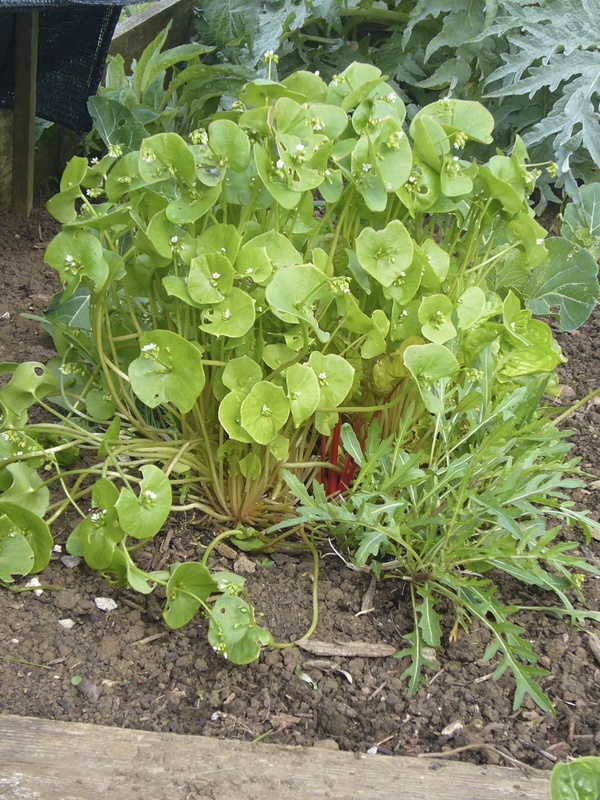 Claytonia, a lovely winter salad leaf. 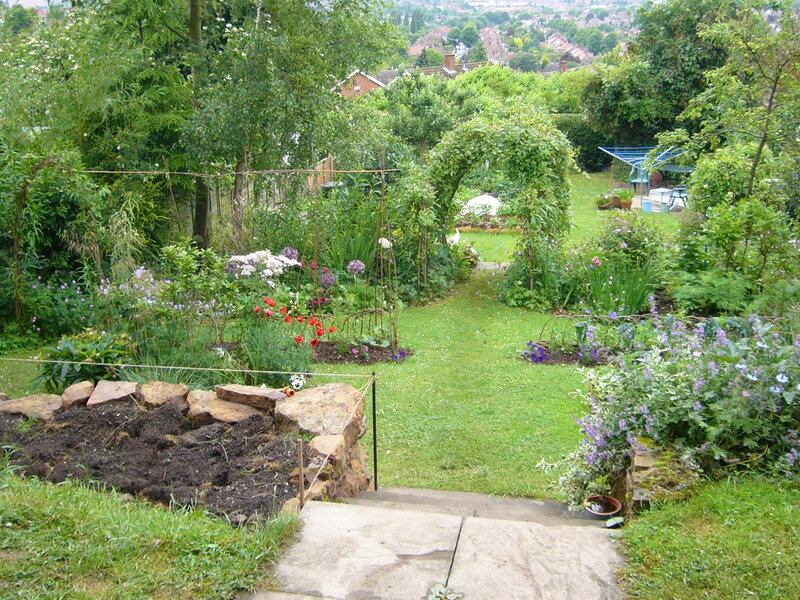 Views from this site are stunning, plenty of time to spend leaning on the spade and admiring the landscape! 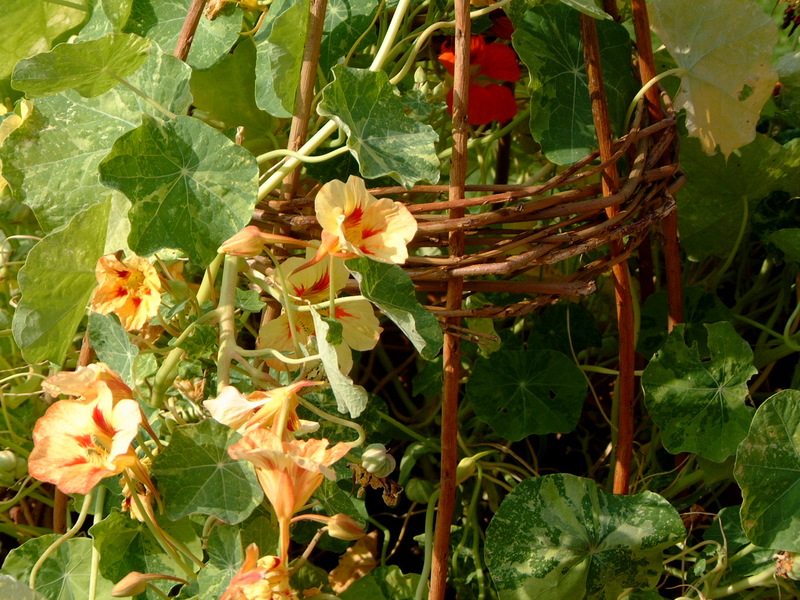 It’s early March and time to get the willow weaving – new structures, plant supports and even the odd free-form basket, all from bits of twigs and sticks. 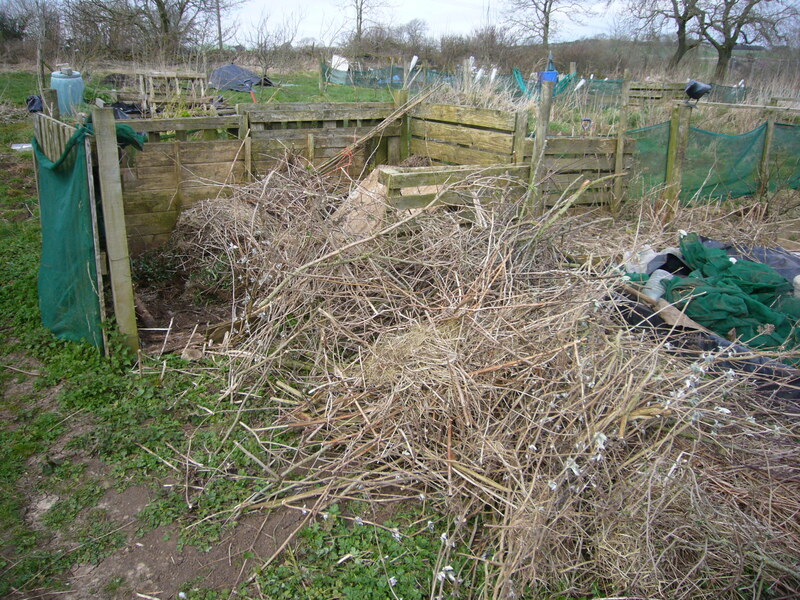 Once the final winter pruning and tidying up is done there’s an awful lot of twiggy debris around the garden. Much of it is for the shredder but there’s plenty of good lengths of fine red and yellow willow, birch and cornus, and even privet, clematis, bramble and ivy has a use. drown in the hole as it becomes impervious before the roots get established. Apart from willow though, it thrives in it. Planting living willow structures was an inspiration when we started making the garden 16 years ago. 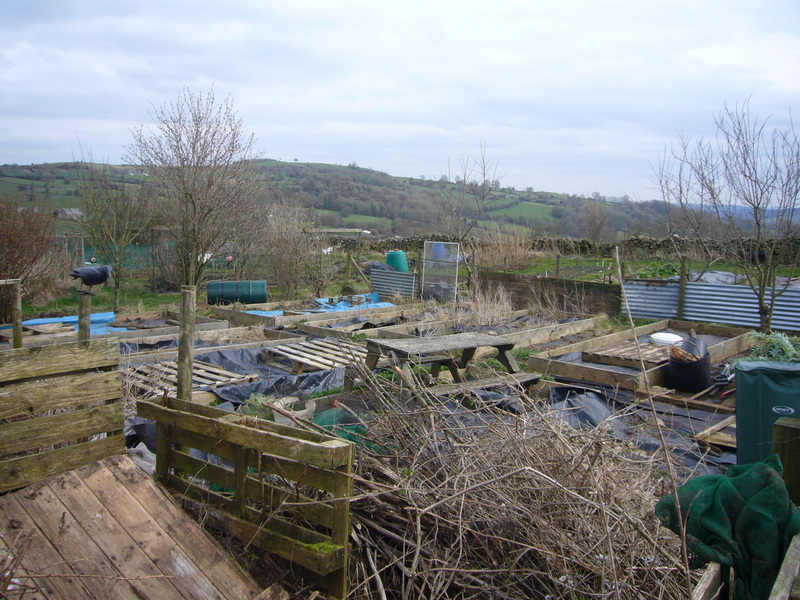 By that I mean it has had a threefold effect – drying out the soil, enriching it with leafmatter and filling the blank canvas of a new garden with instant vibrant green growth and habitat for living things. And it’s instant gratification – a structure installed in February comes into leaf in April, taking root and growing withies up to two metres tall in a season. 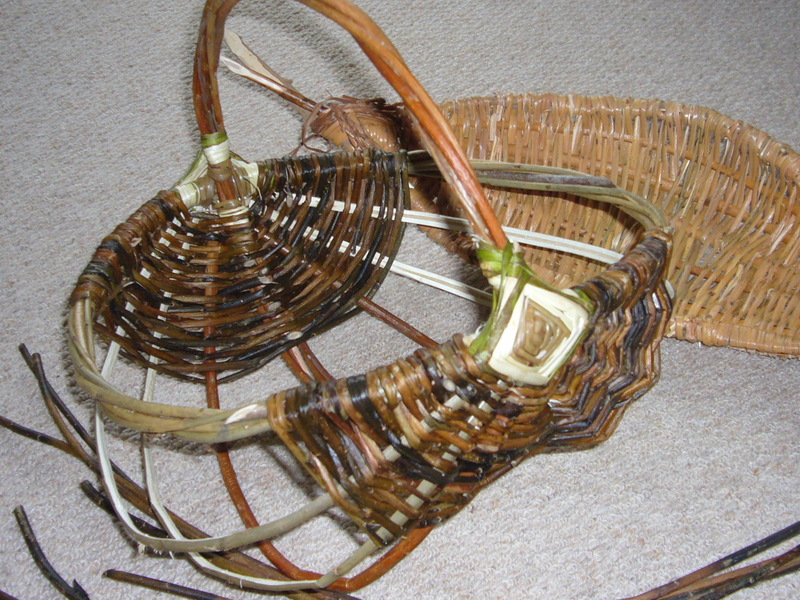 The withies then provide a handy crop in the winter months of useful willow for making baskets.